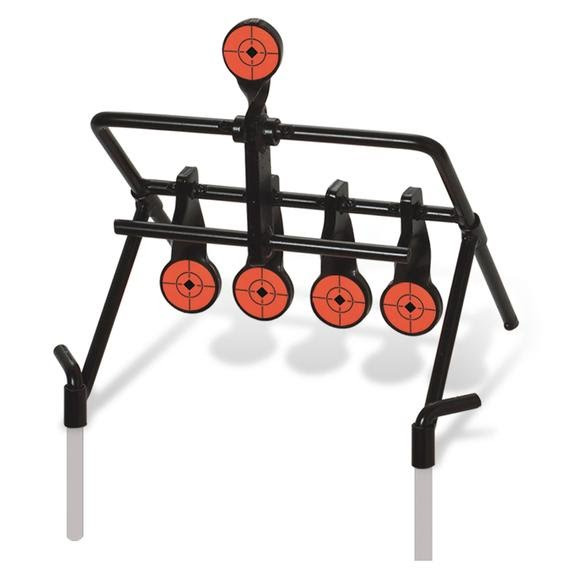 Keep your skills and coordination honed with Birchwood Casey's .22 Rimfire and Handgun Resetting Target Gallery, and enjoy shooting just a little bit more! Knock down the hanging paddles then shoot the upper paddle to reset. Keep your skills and coordination honed with Birchwood Casey&apos;s .22 Rimfire and Handgun Resetting Target Gallery, and enjoy shooting just a little bit more! Knock down the hanging paddles then shoot the upper paddle to reset.